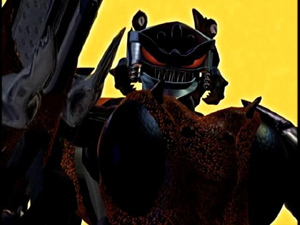 Unicron.com Exclusive: character profile by Executive Story Editors Bob Forward & Larry DiTillio, from the Beast Wars Story Bible. 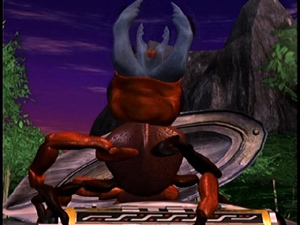 Name: INFERNO, Ground and Air Trooper. 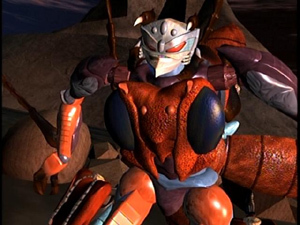 Interests/Hobbies: Inferno is mainly interested in protecting what he perceives as his "colony". 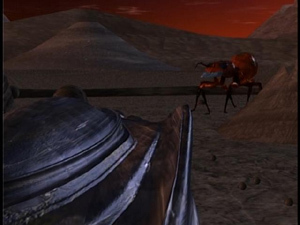 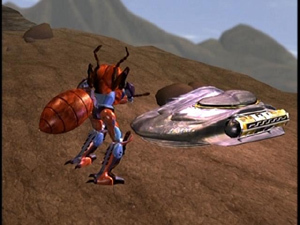 In the introductory episode this is a stasis pod which he mistakes for his home. 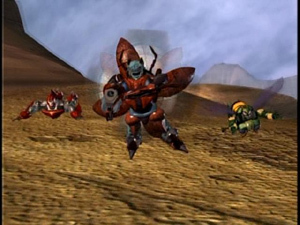 He is later reprogrammed by Megatron to see the Predacon base as his colony. 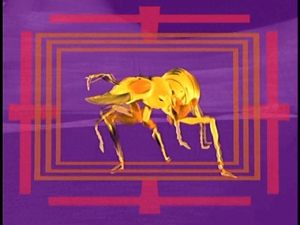 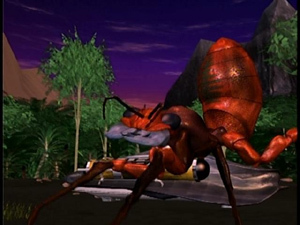 Attitude: Like the ant whose form he takes, Inferno is a ruthless and savage entity, possessed of some cunning. 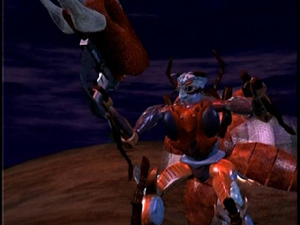 He takes great pleasure in the destruction of his enemies and is not one to hang back from an attack. 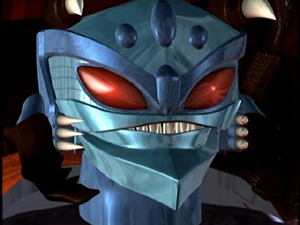 Indeed he will assault any Maximal on sight, unless given orders to the contrary. 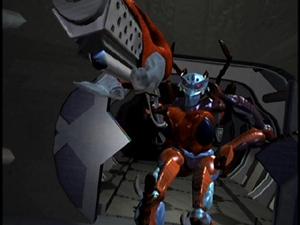 Much like DinoBot Inferno is a berserker in battle and will never stop until he is completely disabled. 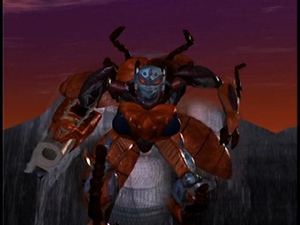 Inferno also has a great need to belong, as a beast whose nature is to be part of a larger group, "the colony" he requires a leader and comrades. 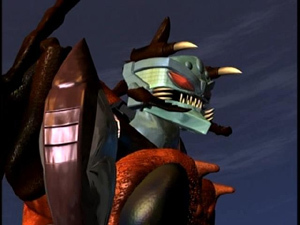 In essence he is the perfect Predacon, loyal to the leader and the group, unrelenting in his thirst for the supremacy of the colony. 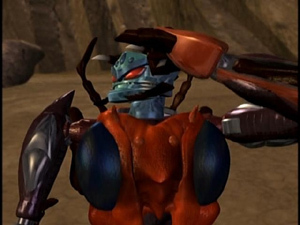 His flaw is that he requires orders to do most everything other than savaging Maximals and has very little initiative without such orders. 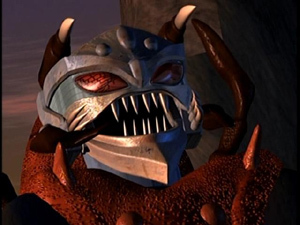 RELATIONSHIPS: Inferno has been programmed to be intensely loyal to Megatron, whom he sees as the Queen or "The Royalty" of his colony. 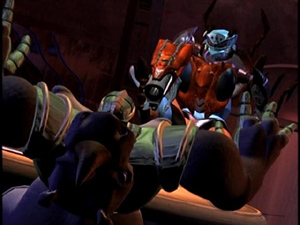 He would gladly risk his life to save Megatron from any harm and never questions his orders. 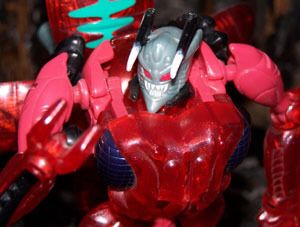 As for Megatron he is most pleased to have Inferno aboard, both for his unswerving loyalty and his intense firepower. 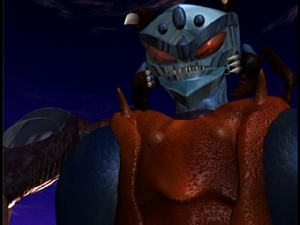 Moreover he sees Inferno as the perfect sentinel against the machinations of Tarantulas and Blackarachnia, both of whom he has come to mistrust greatly. 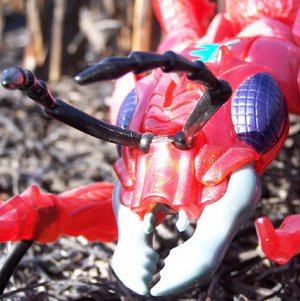 Terrorsaur is neither friend, nor rival to Inferno. 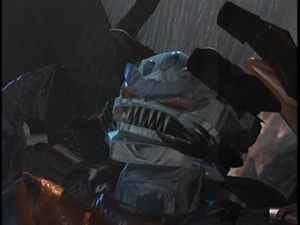 He simply sees Terrorsaur as a colony brother, a fellow soldier. 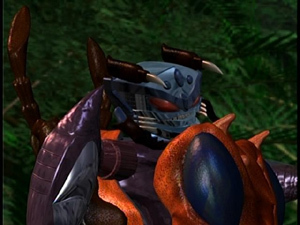 However Inferno is often critical of Terrorsaur for not carrying out his duties as the Royalty commands. 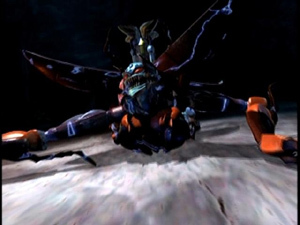 Terrorsaur despises Inferno, for his presence, like Scorponok's makes it that much harder for Terrorsaur to usurp command. 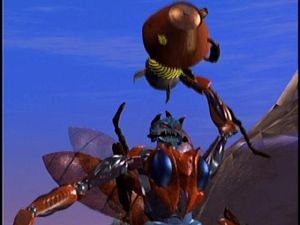 Inferno does not like Waspinator much, he is too much like an enemy of the colony (another case of natural instincts overwhelming robotic programming). 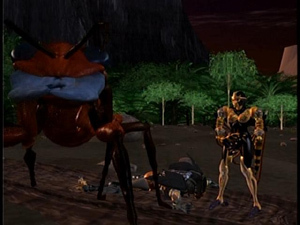 He thinks of Waspinator as a captive turned to the service of the colony by the great power of the Royalty. 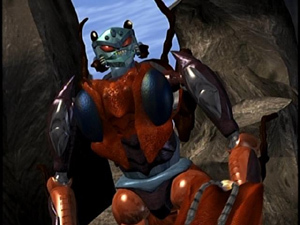 As such, Waspinator is an object of contempt for him. 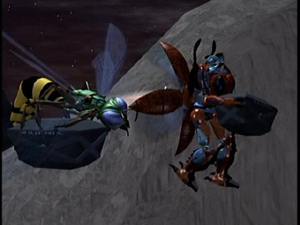 Waspinator doesn't like him much either and takes pains to stay away from him. 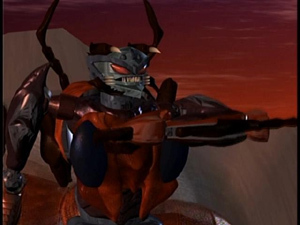 Inferno also doesn't like Scorponok much (again, his beast nature instinctively marks the arachnid as a possible enemy) but as second-in-command he feels compelled to obey him and treats him with a modicum of respect. 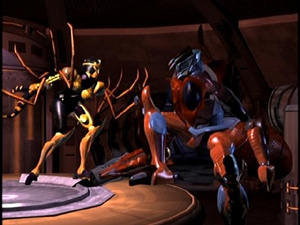 They often will work together. 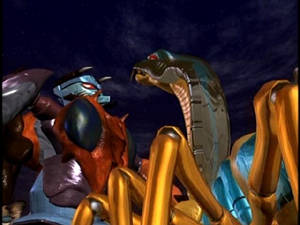 Scorponok is jealous of Inferno's relation with Megatron, he feels Inferno is intruding on their friendship. 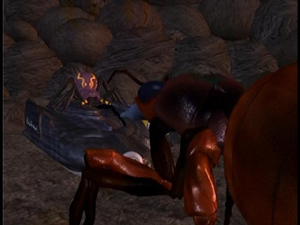 When it comes to Tarantulas and Blackarachnia, Inferno has a deep-seated hatred for them. 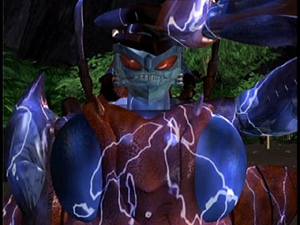 He knows they are the ones who destroyed his original colony, a feeling Megatron encourages since Inferno is the one Predacon who has no fear of the spiders. 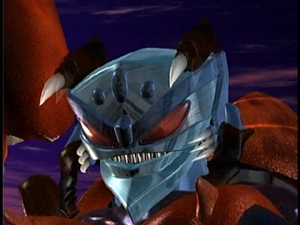 Since the Royalty has proclaimed them allies of the colony, Inferno does not act on this hatred, but his relationship with them is strained to say the least. 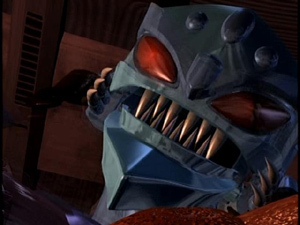 They in turn hate him, since he is obviously Megatron's most powerful ally and seldom will team up with him. 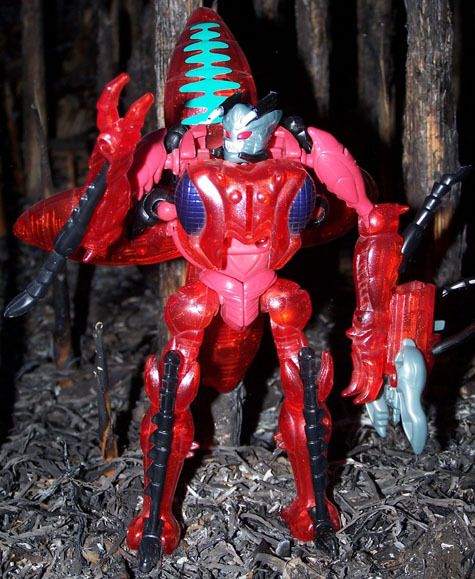 IMHO, Inferno is one of the greatest characters in all of Transformers and it wouldn't be right to omit the fact that it was Inferno that first retrieved the "Alien" disk from Ancient Earth Ruins. 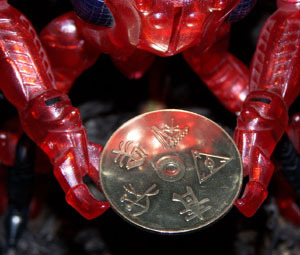 Presumably this disk was the Vok reply message to the Earth disk, sent aboard the Voyager Space Craft... Click here to steal one for yourself! 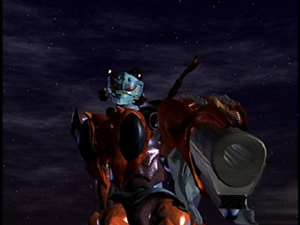 Character profile summary written and compiled by Byrerprime. 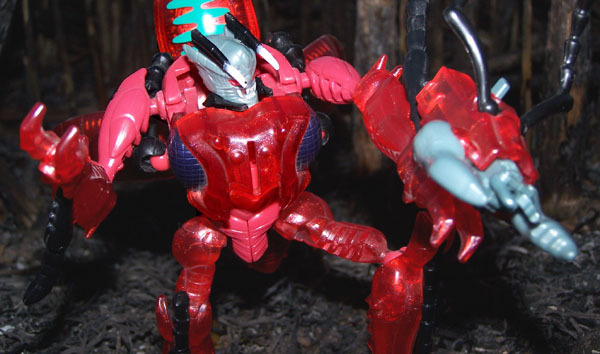 Profile: Inferno is the most loyal soldier in Megatron's forces. 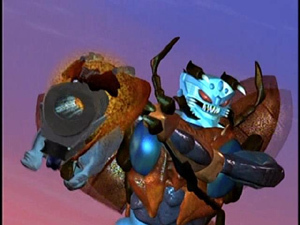 He has no self-serving interests like the other Predacons, just loyal to the core. 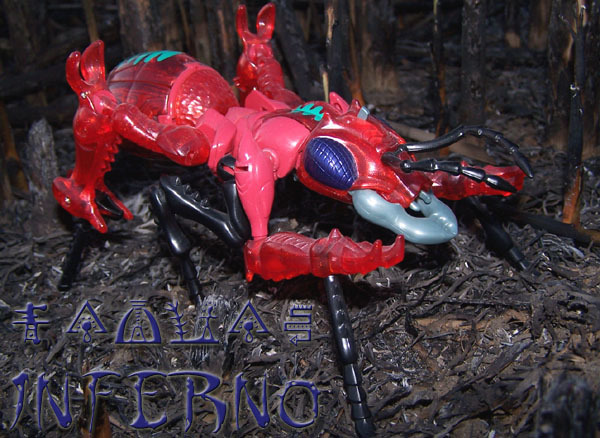 Unfortunately, Inferno is also delusional. 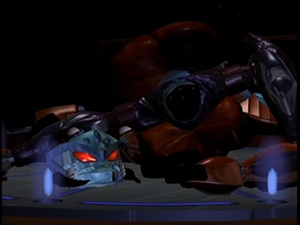 His programming was damaged during activation from his stasis pod, resulting in his beast form integrating into his shell program and dominating his logic circuits. 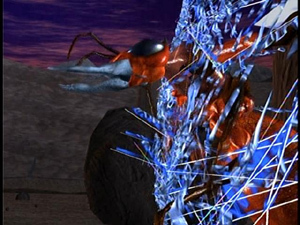 It is unclear whom he may have been as a Maximal or what his personality may have been before this incident. 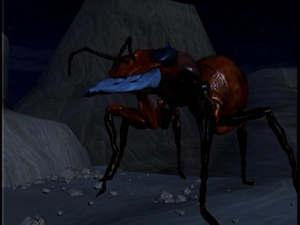 He now believes that he is a genuine ant and he obsessively longs to serve his queen and colony. 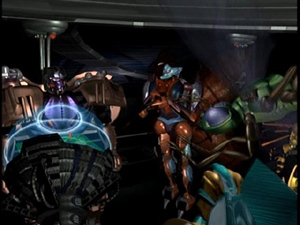 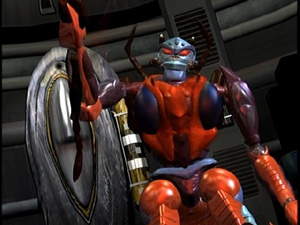 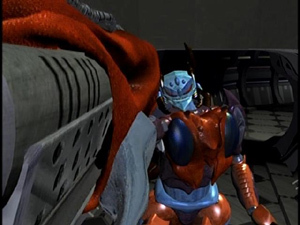 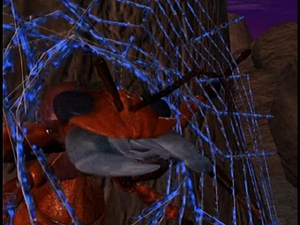 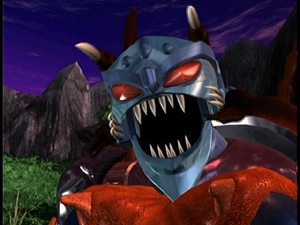 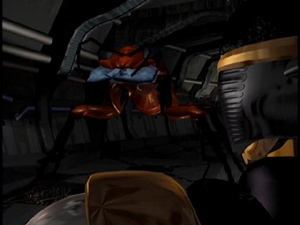 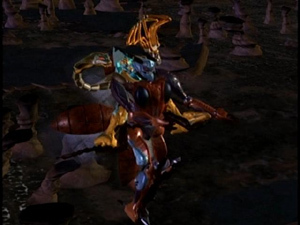 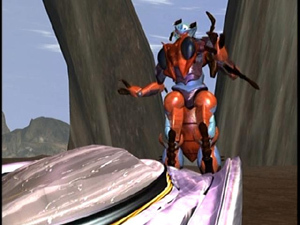 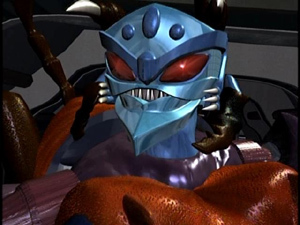 He originally thought his stasis pod was the colony, but Blackarachnia tricked him into thinking that Megatron was the colony's queen, and subsequently, that the Predacon base is the colony. 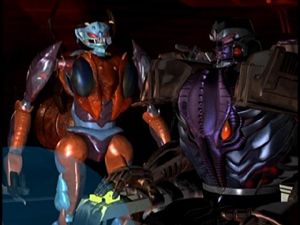 Megatron loathes to be called the queen, but since loyal soldiers are difficult to come by, he tolerates Inferno's lunacy. 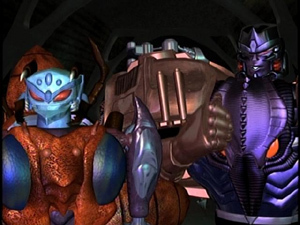 Much to the delight of Megatron, he started calling Megatron the royalty. 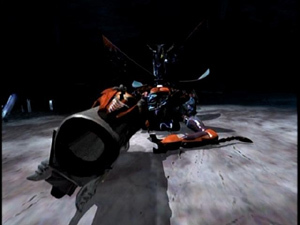 Inferno is able to fly in his robot mode, making him immensely useful to Megatron. 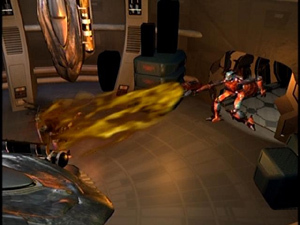 When an alien artifact was discovered by Megatron, he could trust only Inferno with its retrieval. 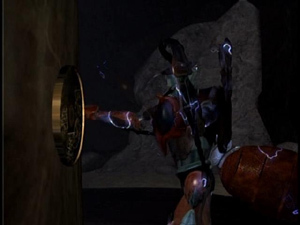 That artifact was obviously one of the golden disks. 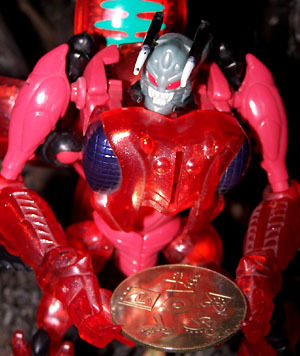 Inferno demonstrated his loyalty time and again, becoming Megatron's second in command after the demise of Scorponok. 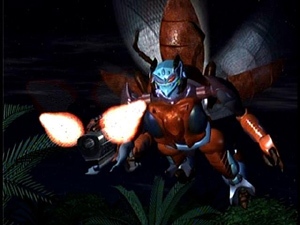 In time Inferno would grow less antagonistic toward the other Predacons, considering them part of the colony. 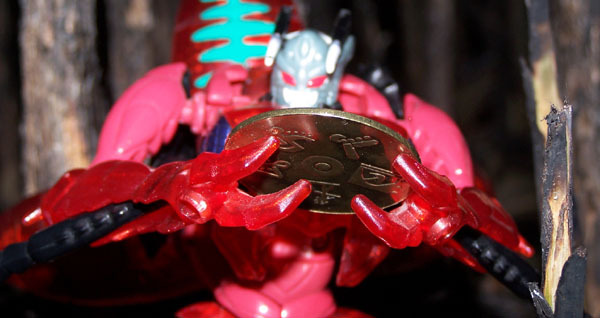 He even played cards with them on occasion. 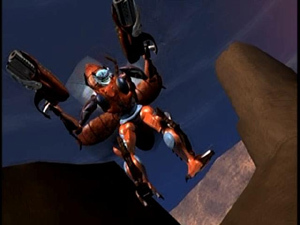 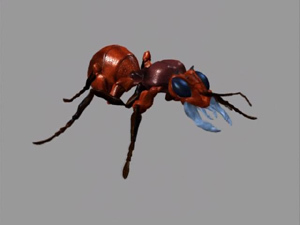 Abilities: He is able to fly via hyper-drive ion thrusters revealed when his ant abdomen separates in robot mode. 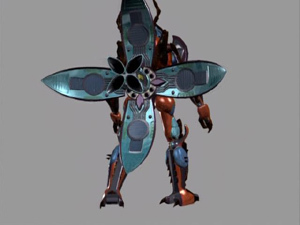 He possesses rear leg missiles that can be fired from a secret launcher hidden in his mandibles. 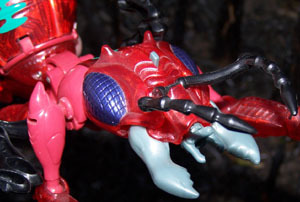 His pinchers also detach, allowing him to bite at his enemies even in robot mode. 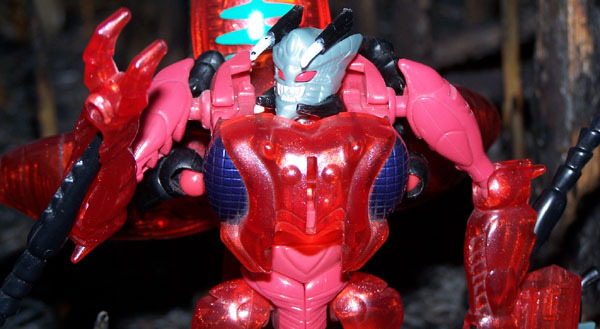 Weaknesses: Inferno's most glaring weakness is his blind loyalty to Megatron. 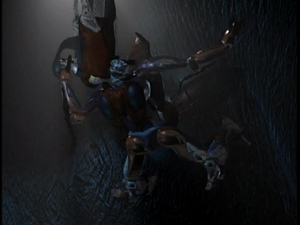 He will focus on the assignment, and is unable to adapt to new situations. 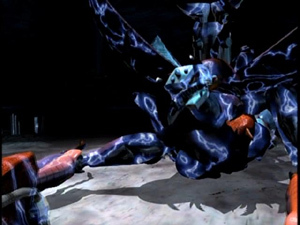 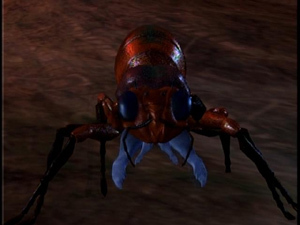 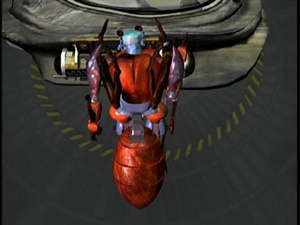 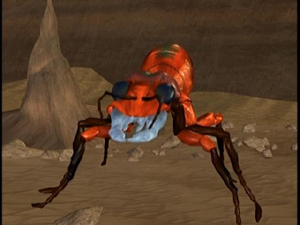 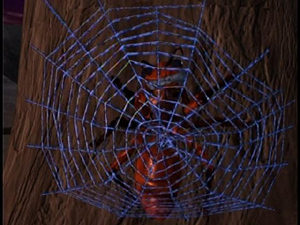 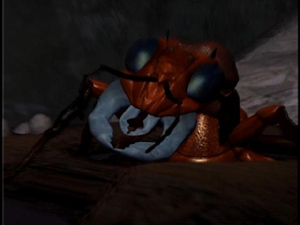 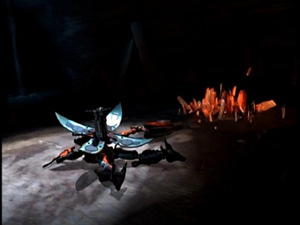 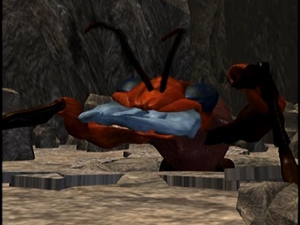 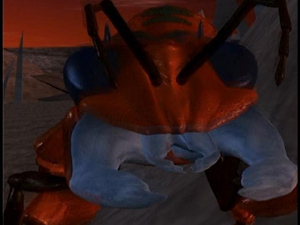 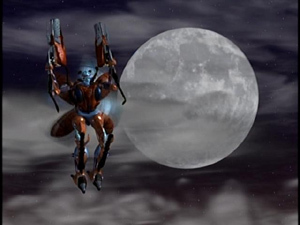 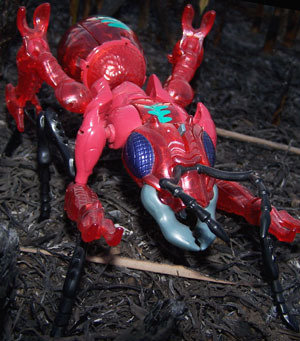 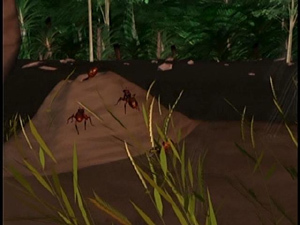 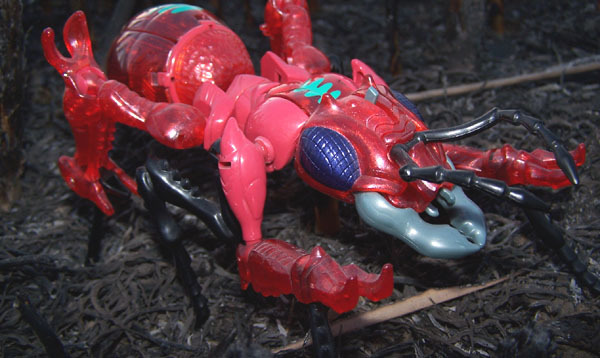 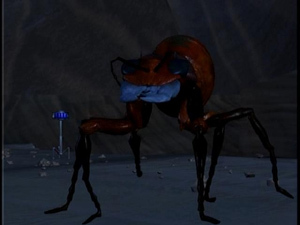 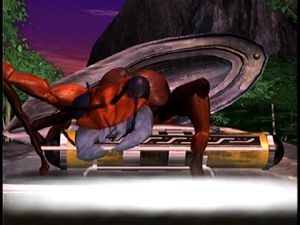 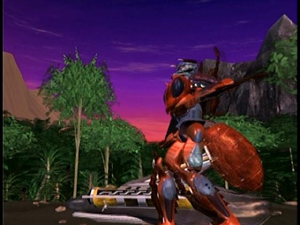 *Beast Wars episode 18: Spider's Game - Stasis pod activated, converted to Predacon by Tarantulas. 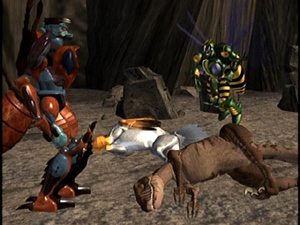 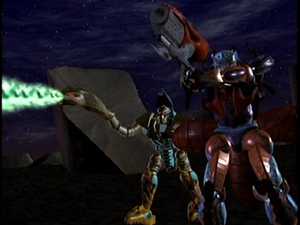 *Beast Wars episode 24: Before the Storm - Retrieves the Alien Golden Disk. 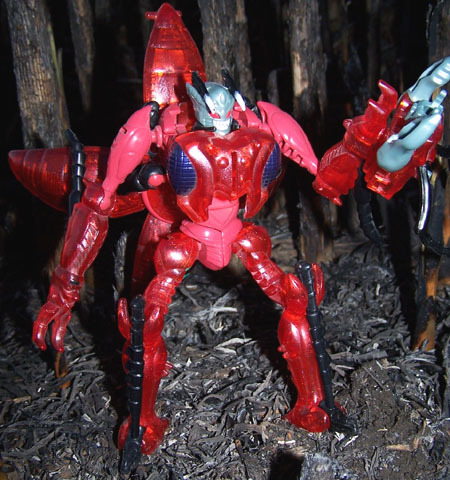 Other appearances: There was an Autobot fire truck in G1 with the name of Inferno, who became Action Master Inferno and G2 Inferno. 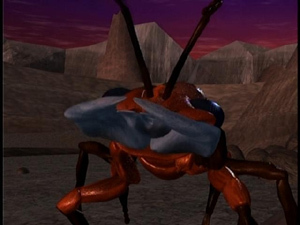 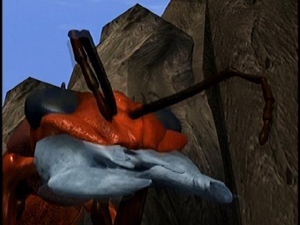 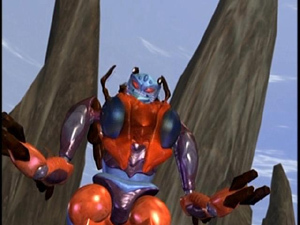 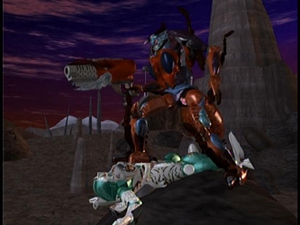 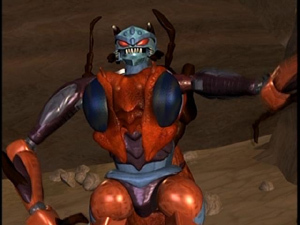 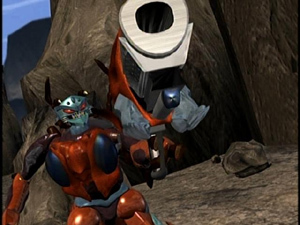 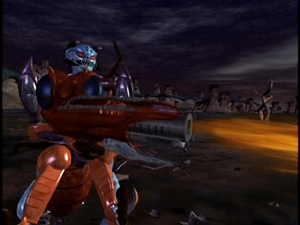 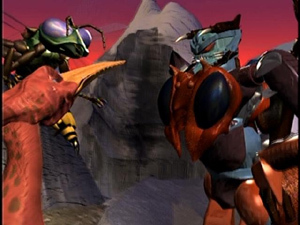 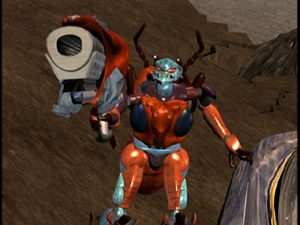 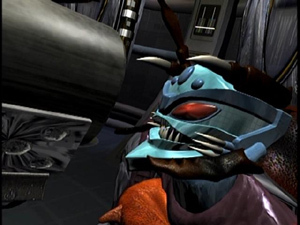 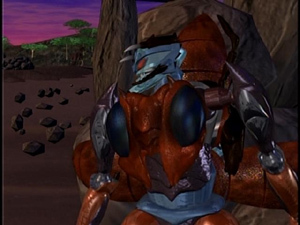 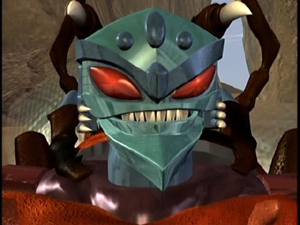 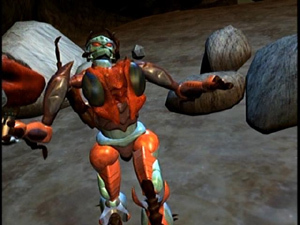 Considering Beast Wars Inferno was originally a Maximal, and his programming was damaged, it is very possible that these two could be considered the same individual. 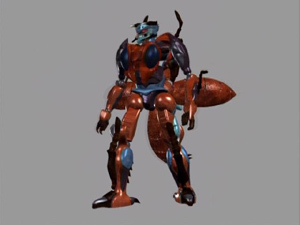 There was a Transformers Universe Inferno, a repaint of R.I.D. 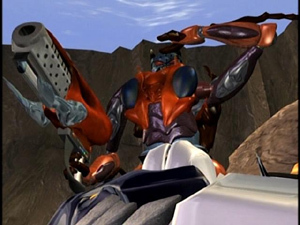 Prowl, intended by the writers of the OTFCC Universe comics to be based on Beast Wars Inferno trapped in an Autobot body. 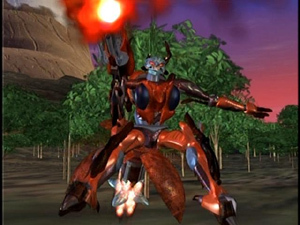 Inferno was the name of the Mini-Con partnered with Thrust and Powerlinx Thrust. 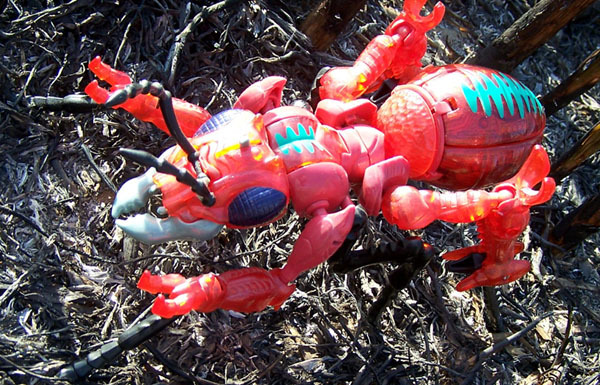 There was an Energon Inferno, who became Roadblock. 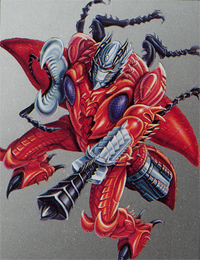 Note that in Japan Scavenger was sold as Transmetal Inferno.